I am constantly on the hunt for tasty coffee wherever I go. 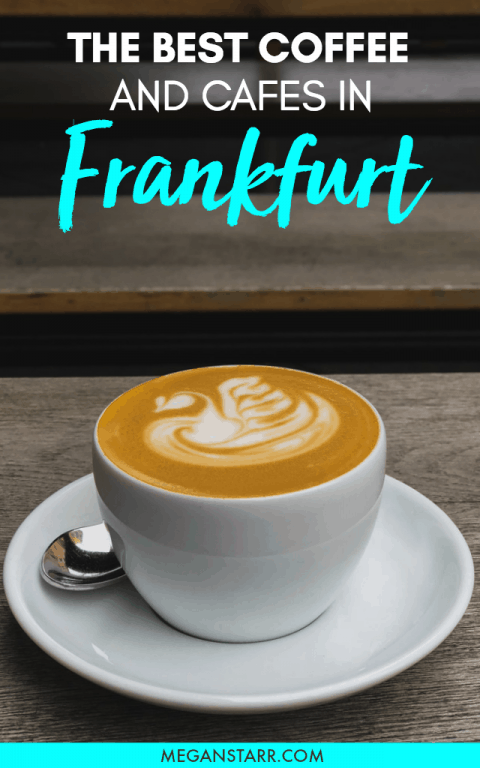 As a resident of Frankfurt, Germany, I know all of the best Frankfurt cafes and spots to get amazing coffee in this city. This is a guide to the best cafes and coffee in Frankfurt, Germany. 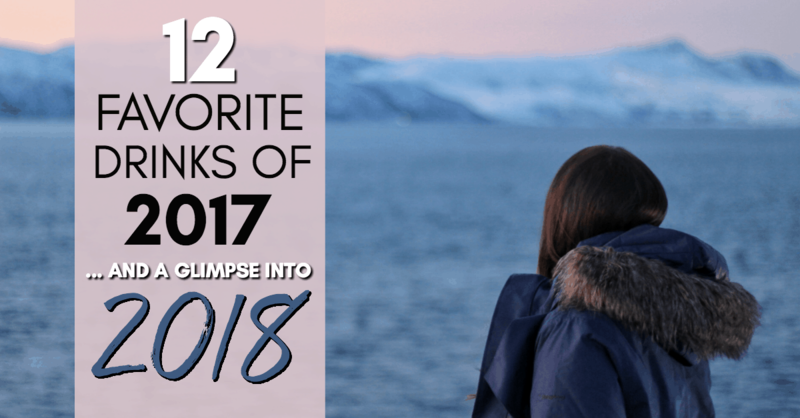 I try to keep it up to date at all times, so if you have other recommendations, please drop them in the comments below! I have spent a pretty decent portion of my life in or around the area of Germany I am currently residing in, Frankfurt. 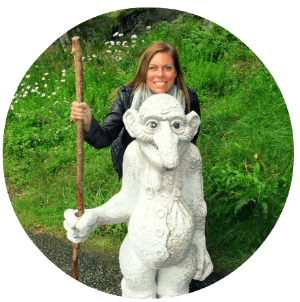 Even when I was living in Oslo, I traveled to the area so frequently that the staff at my favorite restaurants and cafes knew me by name and had no idea for ages that I was actually living in Scandinavia, not Germany. 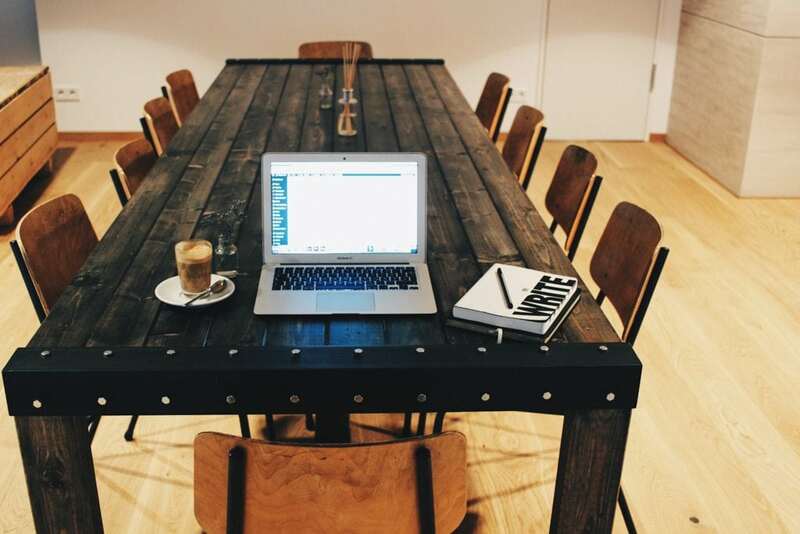 As someone who was free to work wherever I pleased, I often came to Frankfurt to visit friends and would spend a week or so working in the city every month. But most of my time spent working in Frankfurt was spent in the confines of my friends’ flats and not cafes, much to my dismay. Frankfurt’s cafe and coffee scene were embarrassing at best. Times have changed and specialty coffee now exists in Frankfurt. 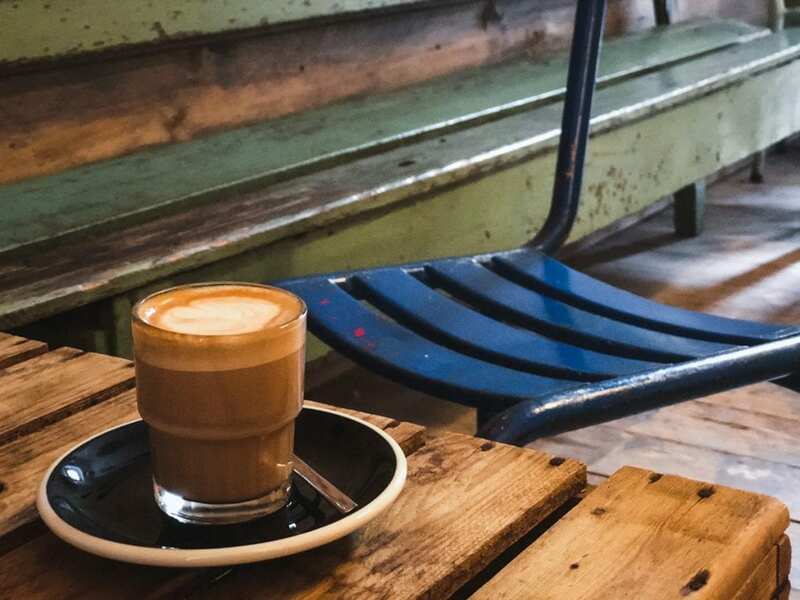 This is a conclusive guide to the best coffee in Frankfurt and some of the best Frankfurt cafes. Initial publishing of this guide was in March 2016. The latest update is from July 2018. Wifi was not ubiquitous as it was in Scandinavia and when I could find it, I wasn’t able to pair a nice coffee alongside it. 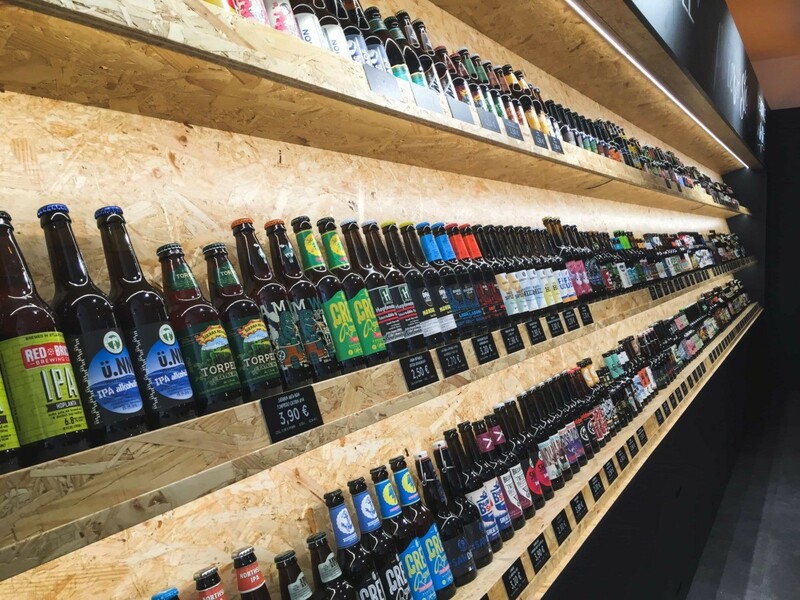 While the craft beer scene in Germany is very far behind as a whole, the specialty coffee scene in Frankfurt (and Frankfurt alone) was even more behind. Every other city had its scene, but Frankfurt lagged. 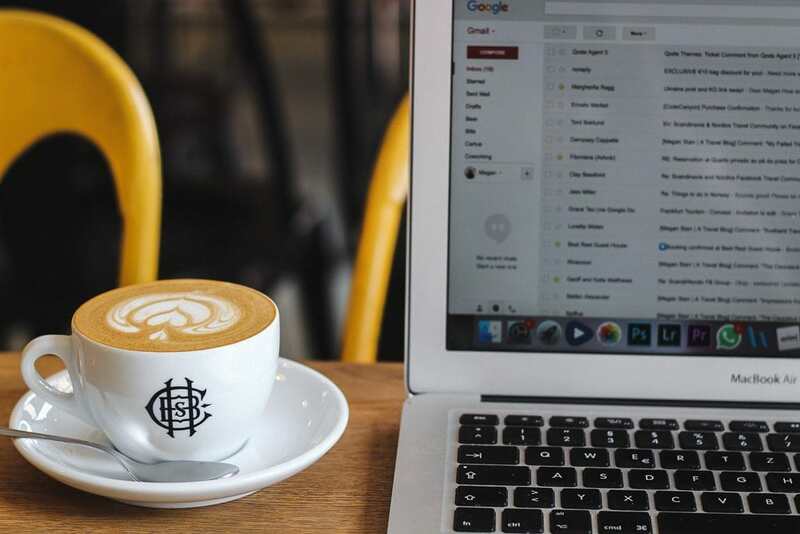 I get emails constantly from people passing through the city on long layovers or even digital nomads (I hate that term, but it suits the explanation) looking for Frankfurt’s best cup of joe. I used to draw a huge blank. Now, I can proudly say that I can give some information, albeit still not too much. 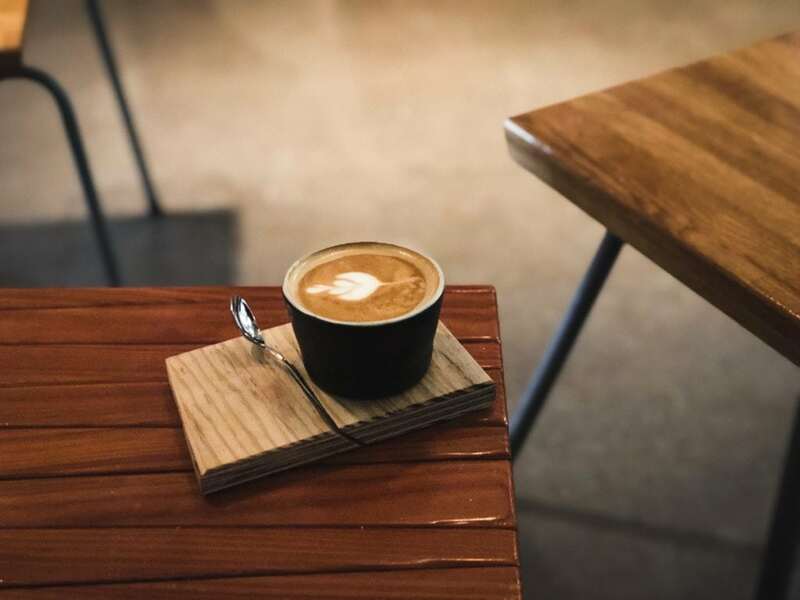 As more and more businesses are opening around the city, I will keep this list live and add to it as new cafes open throughout the city and after I have tried their coffee personally or know someone reputable who recommends it. 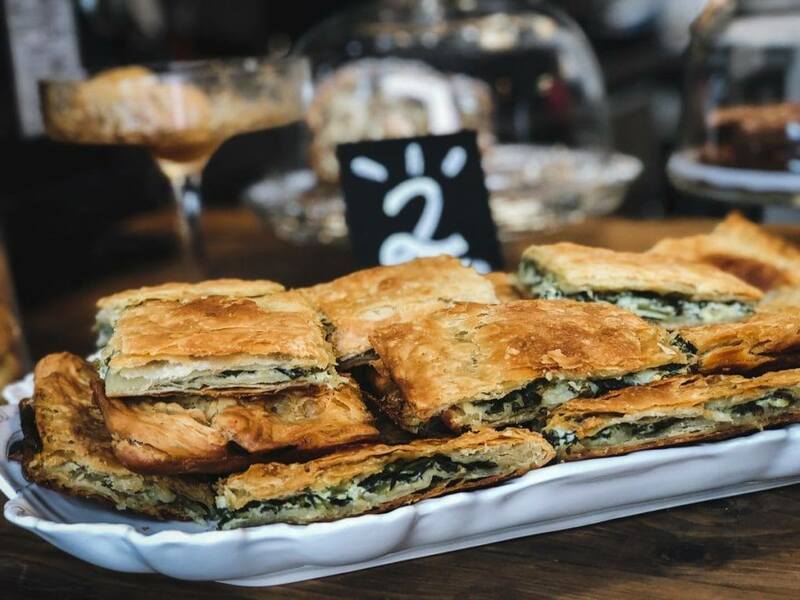 A super great addition to Frankfurt’s Oeder Weg, Greek-owned KukuVaia is a new cafe bringing good coffee to the people of the city. I recently went and ordered a cortado (next time I will indulge in something like one of their freddos!) and it was extremely tasty and the staff was very friendly and attentive. They have a fairly sizeable terrace out back for something in this part of the city. KukuVaia doesn’t have a kitchen, but the owner’s parents own Greek restaurant, Meandros, and every morning sandwiches and small eats are made there and delivered to KukuVaia for hungry guests. I really loved the atmosphere of the cafe, actually. The decor and aesthetic took me to Southern Europe but was still cool and cozy. They are using beans from both Hoppenworth in Frankfurt and have some others sent in from Greece. A great addition to Frankfurt and one I look forward to enjoying many cortados and freddos at in the future! 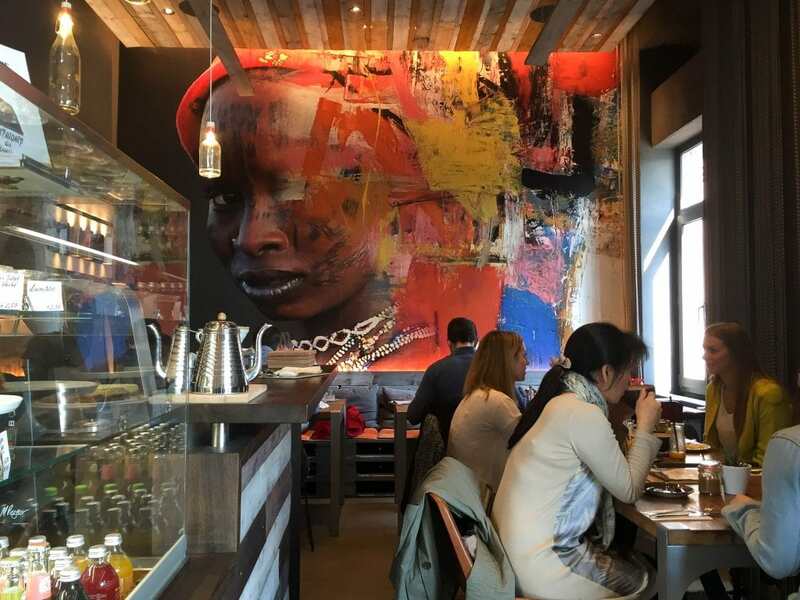 You can find KukuVaia – The Bean Inspector at Oeder Weg 23 in Frankfurt. They are open Monday – Friday from 0730-1800 and Saturdays and Sundays from 1000-1800. To find out more, check out their Facebook page or Instagram. Long live the days where Frankfurt lacked cool businesses and concepts. 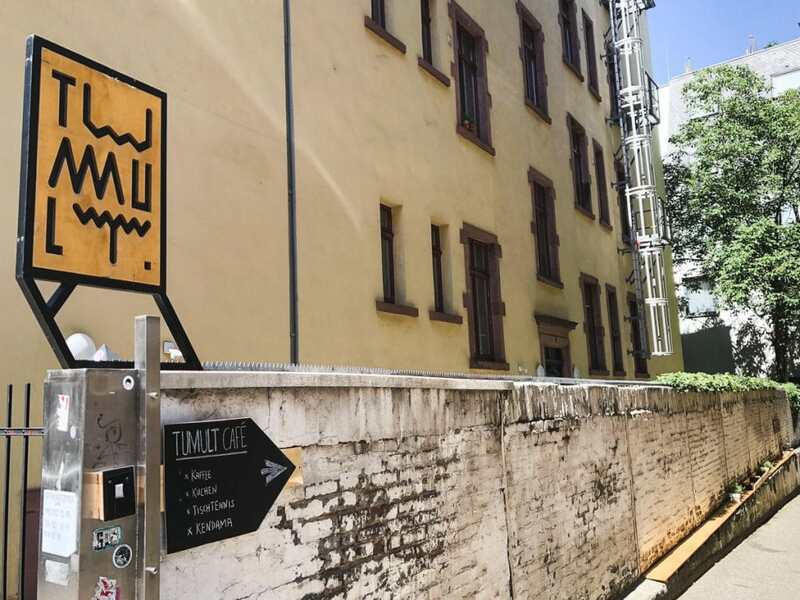 Tumult Cafe is quite possibly the coolest place in Frankfurt as in they have stellar coffee (using a variety of beans from Fjord in Berlin to Hoppenworth here in Frankfurt), heaps of creative spaces, and also- (get this…) have escape rooms. They also have yoga classes and a ping-pong table. 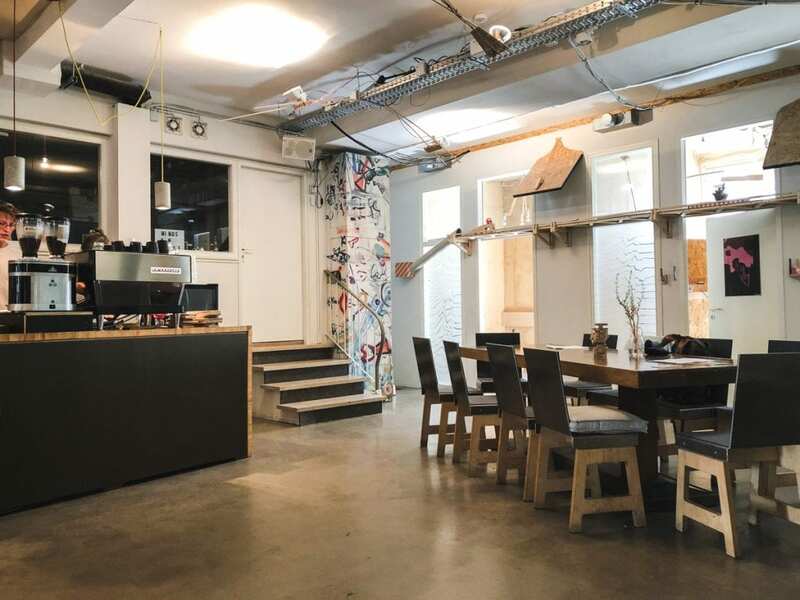 Situated in Frankfurt’s Bahnhofsviertel district, the cafe, entertainment, and recreation center is definitely a welcome addition to Frankfurt’s ever-growing hip scene. 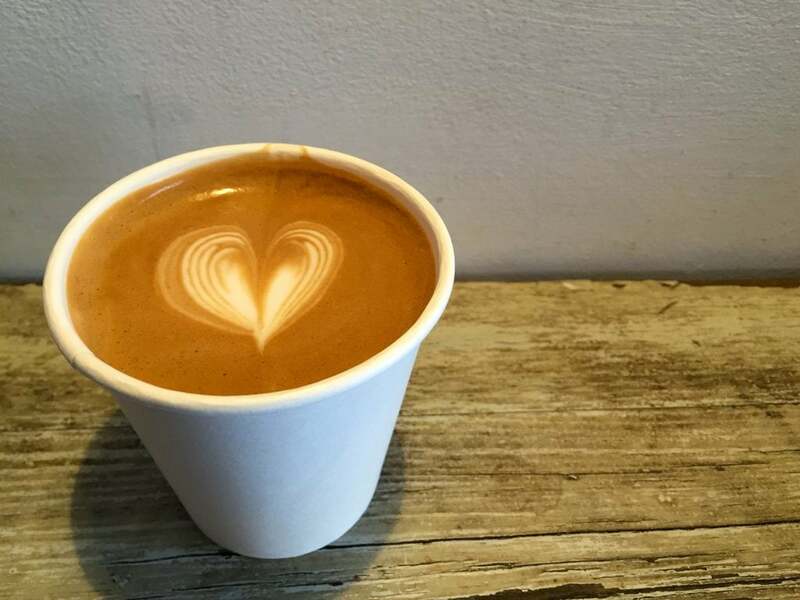 They have some small eats on site and also have vegan food as well as oat milk for plant-based coffee consumers. Their pourover option is a v60 and they have a pretty good menu with nothing too outlandish or offensive (weird syrups). I ordered a simple flat white and it was made exceptionally well and was smoother than many flat whites I have had in other Frankfurt cafes. If you bring your own cup for coffee, they will take 0.30€ off of your drink. If you like good coffee and unique concepts, definitely check out Tumult Cafe. You can find Tumult Cafe at Moselstr. 4 in Frankfurt’s Bahnhofsviertel area close to the main train station. They are open Monday – Thursday from 1000-1800, Fridays from 1000-1900, and Saturdays and Sundays from 1200-1900. To find out more, check out their Facebook page or Instagram. I was so excited in December of 2017 when I discovered Bohnerie café. 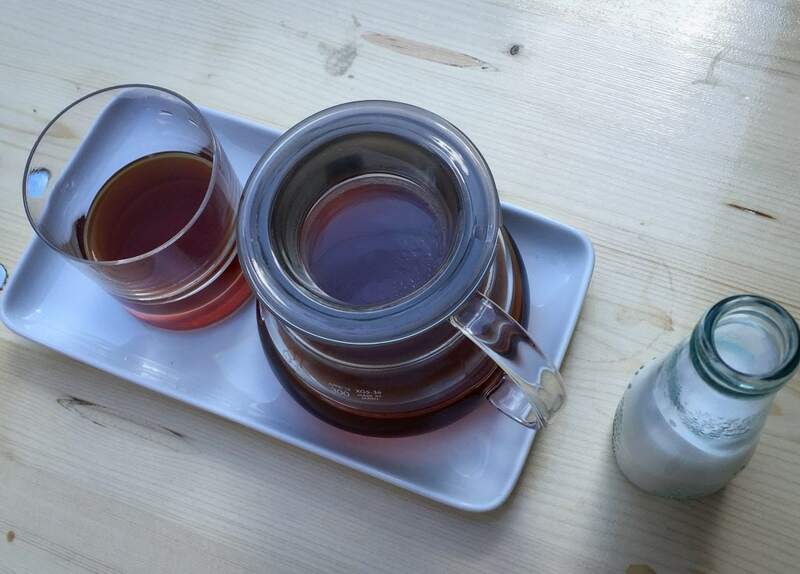 A new place that sold specialty coffee in Frankfurt… AND they roast their own beans?! I went to the cafe and the atmosphere blew me away… everyone was so friendly. They had just opened that week and were still getting things in order. I wandered to their upstairs (they have two floors) and they had a place that doubled as a coworking space. Um… I think I found my perfect cafe in Frankfurt… FINALLY. I hung out up there for a while and enjoyed my impeccable coffee and the workspace that had great wifi. Unfortunately, the closed for Christmas for a while as all Frankfurt businesses do and then I was in Hamburg, Finland, Portugal, Ukraine, the Baltics… you get the picture. So, I haven’t been home again to get back there and enjoy more of their coffee. But, I can assure you that they are doing well and my friends who I have recommended the cafe to have loved the space and coffee! And the good news is that they invited me to roast with them one day, so I fully intend to take them up on this offer in the future! I will definitely get some better pictures of the cafe and coffee then! You can find Bohnerie café // röstsalon at Eschersheimer Landstr. 14 in Frankfurt’s city center area near Oeder Weg. They are open Monday – Fridays from 0830-1800 and Saturdays from 1100-1800. They are closed on Sundays. To find out more, check out their Website, Facebook page, or Instagram. Cafe No. 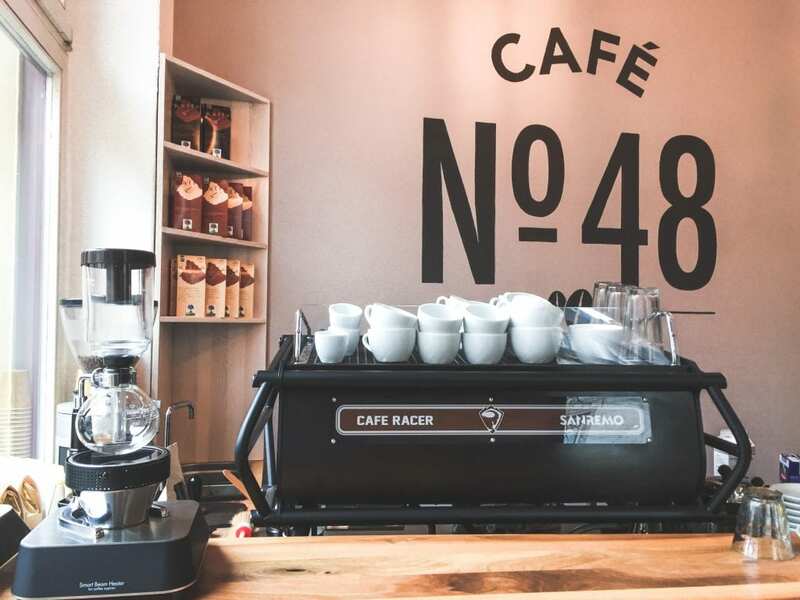 48 is a new addition to the Frankfurt coffee and cafe scene and has been a brilliant one. 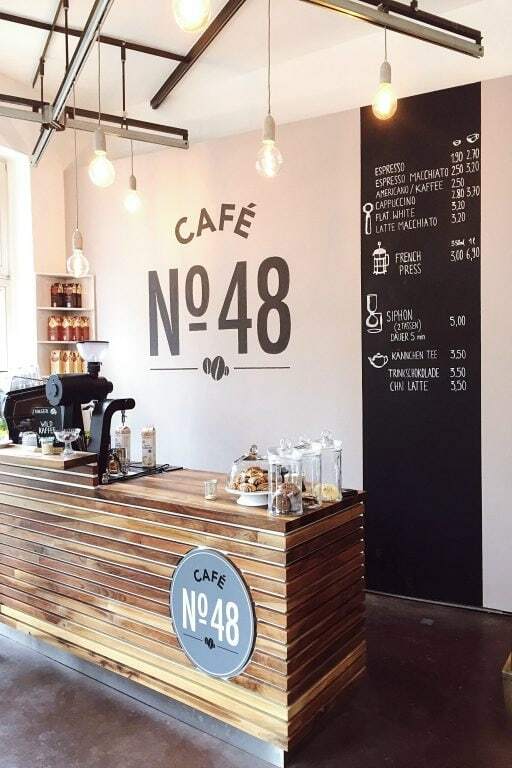 Situated in Frankfurt’s Nordend area, they offer customers organic and fair-trade coffee and delicious cakes and small eats. They also cater to vegans and vegetarians. Cafe No. 48 also has daily menu items for hungry customers. You can order anything from a flat white to a syphon coffee here and I must say, I found their coffee to be one of the smoothest and creamiest in Frankfurt’s cafes. What I found most impressive about this place, on the other hand, was its customer service. From the moment I walked in, I was welcomed and greeted with a friendly demeanor… and they treated my dog like a king (he accompanied me to the pup-friendly establishment). Any place that treats my dog that way will always get my vote and business! This is a great place for coffee in Frankfurt. Cafe No. 48 can be found at Rotlintstraße 48 in Nordend. They are open weekdays from 0800-1800 (but please note that they are closed on Wednesdays) and weekends from 1000-1700. Wifi is available and free. They only take cash. You can check out their website or Facebook page for more information. This stunning cafe, eatery, and shop is located across the river from the main part of Frankfurt in charming Sachsenhausen. It took me a while to get here as I live pretty much on the very opposite side of the city, but I’m so glad I finally got to check it out (after so many raving reviews from fellow Frankfurters)! They have flawless customer service and the coffee is on-point. Their flat white is tasty and I can’t wait to make it back to try some of their baked goods (and do some shopping). 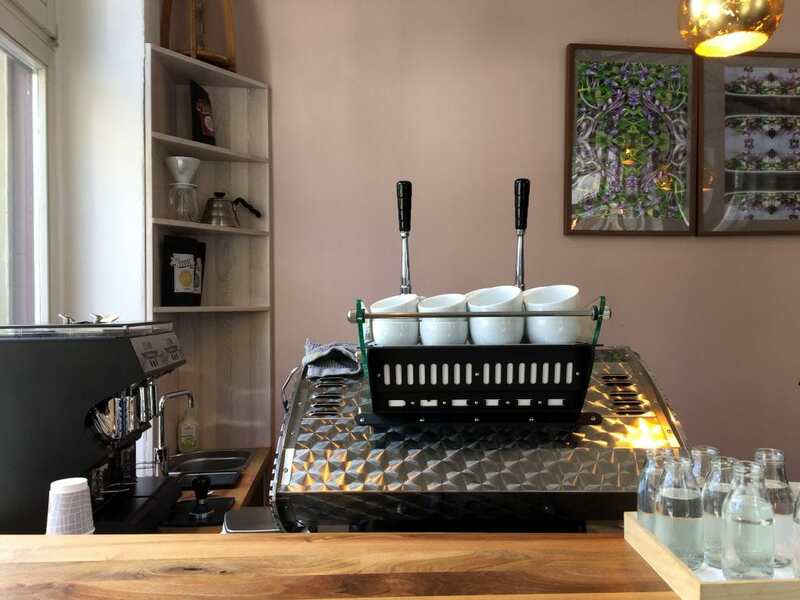 They offer two coffees- one of their own and one from Man Versus Machine, a Munich-based roastery (always subject to change so check oheim’s Facebook page for details). 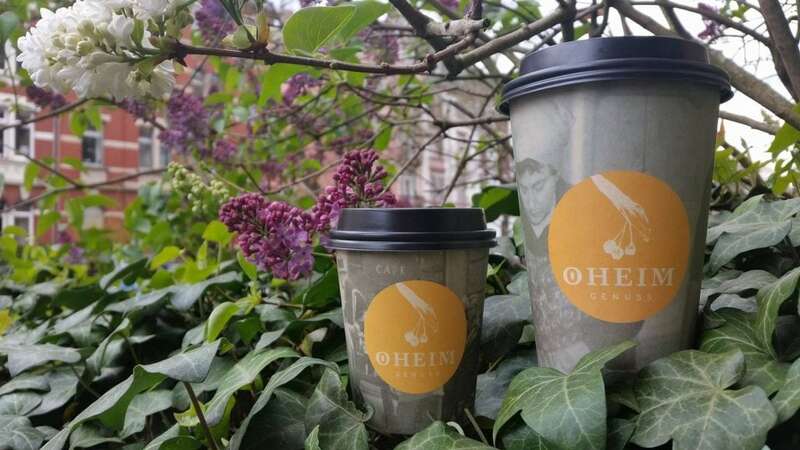 Oheim is located on a peaceful street and has seating both inside and outside. It doesn’t hold a great number of customers which adds to the quaint ambiance and allows the customers to interact with the staff. Nothing irks me than an overly packed place where you can’t relax and have to wait thirty minutes for tables to be cleaned. This place is literally the polar opposite of that and feels like it could easily become my ‘home away from home’. They also offer to-go coffee in environmentally friendly and sustainable cups. Oheim can be found at Oppenheimer Landstraße 48 in Sachsenhausen. They are open Tuesday-Friday from 0800-1800 and Saturdays from 1000-1800. They are also open on the 2nd Sunday of the month from 1000-1800. They also have a delicious brunch available daily. Wifi is available and free. You can check out their website or Facebook page for more information. This is currently my cafe of choice in Frankfurt due to its location and convenience for me (I can walk there). I may also be a bit biased as they offer beans from Tim Wendelboe (alongside Backyard, Quijote, and JB) and make a badass Aeropress pourover with the stuff. This cafe is also owned by the same people that own Kaffeewerk Espressionist. Brühmarkt just opened recently and is already packed with customers. It is situated in an area that probably won’t allow much less. Their outside area offers an abundance of seating, but it is on a busy road, so it is not the calmest of environments. The inside is spacious and much more to my liking. They also offer free wifi. Coffee tip: Ask for your roast of choice. This is one of the only places in Frankfurt that will prepare your coffee in a completely bespoke manner. Brühmarkt can be found at 1 Leipziger Str in Bockenheim. They are open 7 days a week: 0800-1800 Monday through Friday and 1000-1800 on Saturdays and Sundays. They also cater to vegetarians and offer sandwiches and small eats. You can check out their website or Facebook page for more information. Disclaimer: This location has closed. They have another location at Friedrich-Ebert-Anlage 35-37 in Frankfurt if you wish to try it. As of August 2017, this cafe actually does have some of the best coffee in the city. Kaffeewerk Espressionist, which I mentioned above when talking about Brühmarkt, owns three cafes throughout Frankfurt (one of which is Brühmarkt), and has been serving up pretty solid coffee for a few years. 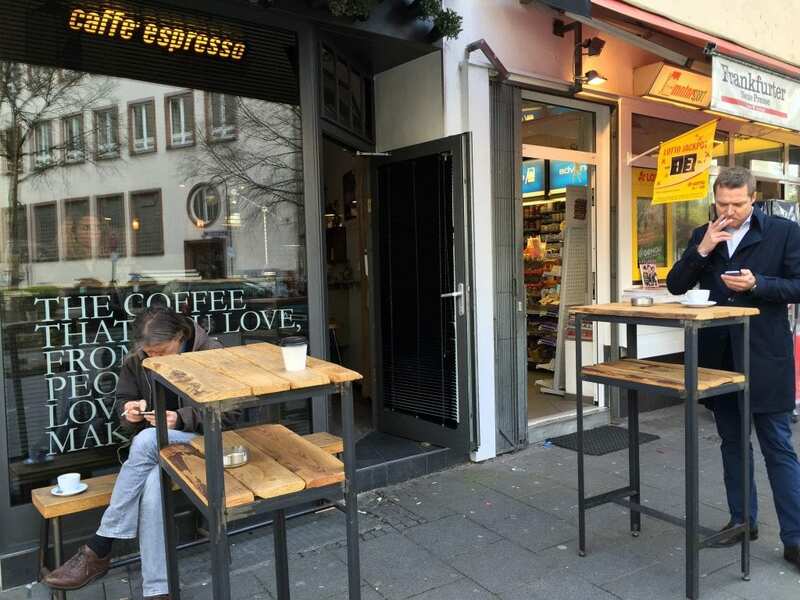 The cafe on Europa Allee is a hotspot for business travelers and locals alike. 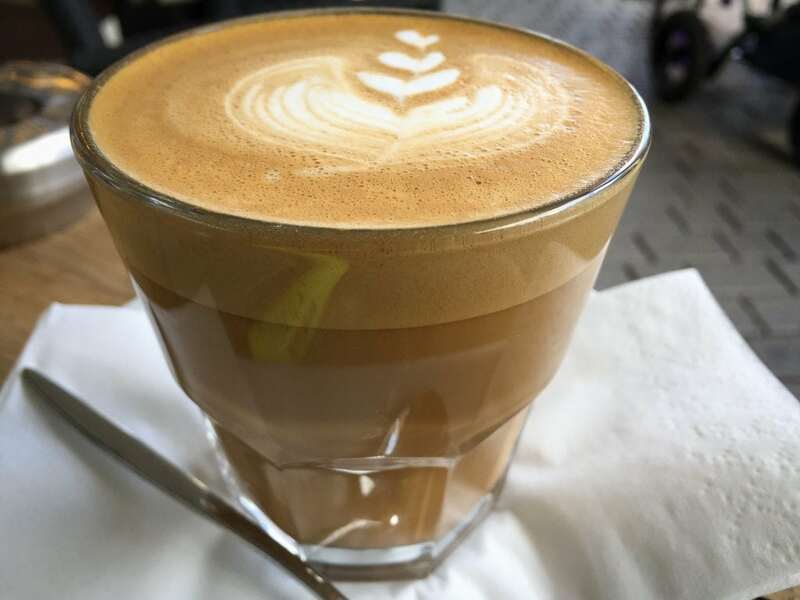 You can find everything on their menu from a flat white to a rooibos latte. They have a very small amount of seating inside, but also service customers with a nice and clean outside area. Free wifi is available. Kaffeewerk Espressionist can be found at Europa Allee 29 directly behind Skyline Plaza in the Europaviertel area of the city. They are only open on weekdays from 0800-1800. For more information, you can check out their website or Facebook page. The Holy Cross Brewing Society has quickly become known as one of Frankfurt’s hippest establishments, and rightfully so. The minimalistic interior and stellar coffee remind me fiercely of cafes I used to frequent in Norway and other parts of Scandinavia. They offer customers free wifi, small snacks, and a robust cup of coffee. They offer different roasts and do a pretty awesome pourover with a V60. Many of my friends who have visited the place have complained that the roast was too dark for them. There are several options available in-house and based on the staff’s extensive knowledge (which I have witnessed time and time again), they will help you choose the cup that is right for you so you don’t end up with something too dark or bitter for your taste buds. Holy Cross offers patrons dairy and non-dairy options, which is much to my liking as sometimes my weak stomach cannot handle dairy. 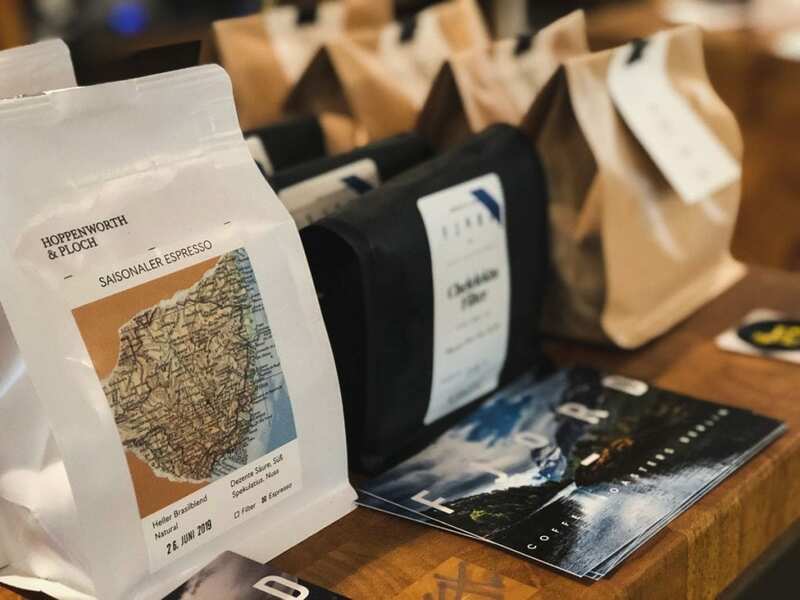 They also have taken part in some major collaborations and selling of some of the best Nordic coffee brands currently- everything from Tim Wendelboe (Norway), Coffee Collective (Denmark), Supreme Roastworks (Norway), Drop Coffee (Sweden), and many more (these are just some of my Nordic faves). It is pretty incredible to see the lively northern scene floating down this way. Holy Cross Brewing Society is really at the center of something major and I am stoked to see what else they have up their sleeve. They have a small outdoor seating area and is truthfully a great place to get some caffeine in before skipping across the street to the craft beer bar, Naiv. 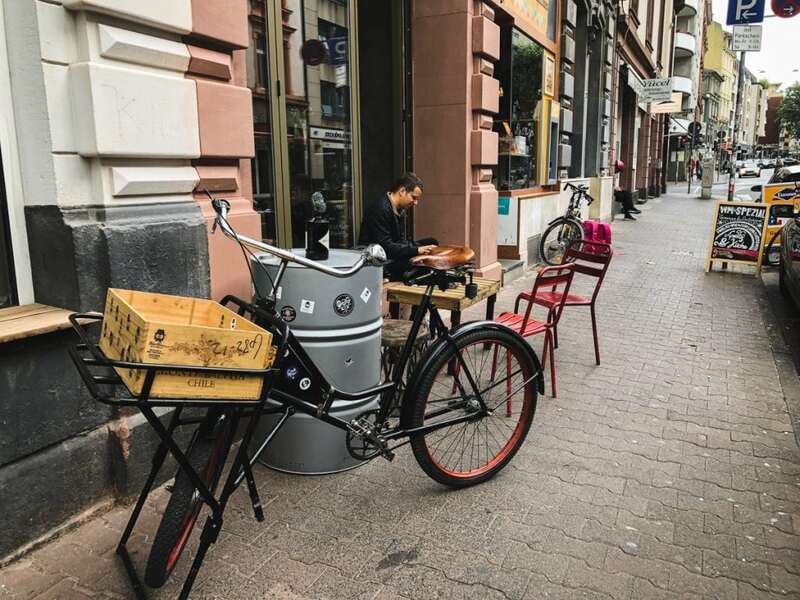 You can get a cup of Frankfurt’s best coffee and best craft beer all in a single visit! You can find the Holy Cross Brewing Society at Fahrgasse 7 in Innenstadt, very close to the river and Altstadt. They are closed on Mondays but are open Tuesday-Friday from 0830 until 1900 and weekends from 1000-1900. They take Visa and Mastercard. To find more information about Holy Cross Brewing Society, visit their Facebook page. Disclaimer: Tortenengel has permanently shut their doors. In the same area? Go to Cafe 48. Tortenengel is a cafe and bakery located in Frankfurt’s Nordend-Ost and while their specialty is the ornate and beautiful cakes they produce by hand, their coffee is pretty stellar, as well. 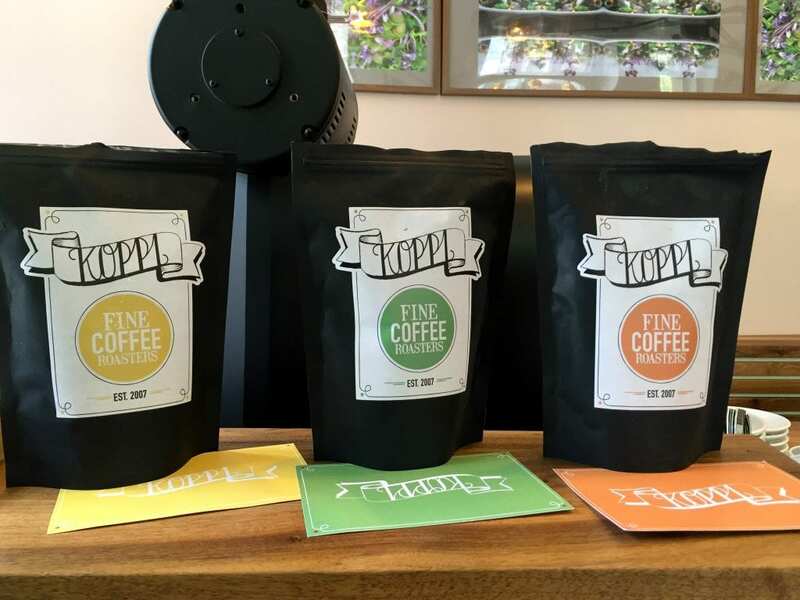 The espresso they use is sourced from the geniuses at Koppi up in Helsingborg, Sweden and anyone that knows coffee in the Nordics knows Koppi. The customer service is exceptional here and the interior is so inviting that it is hard not to love this place. They also offer free wifi and a lot of outdoor seating in the charming neighborhood they are located in. Unexpectedly one of the best cups of coffee in Frankfurt! You can find Tortenengel at Rotlintstraße 48 in Nordend-Ost. They accept Visa, Mastercard, and AMEX in addition to cash. They are open on Mondays from 1100-1800 and Thursdays through Sundays from 1100-1800. To find more information about Tortenengel, check out their website or Facebook page. 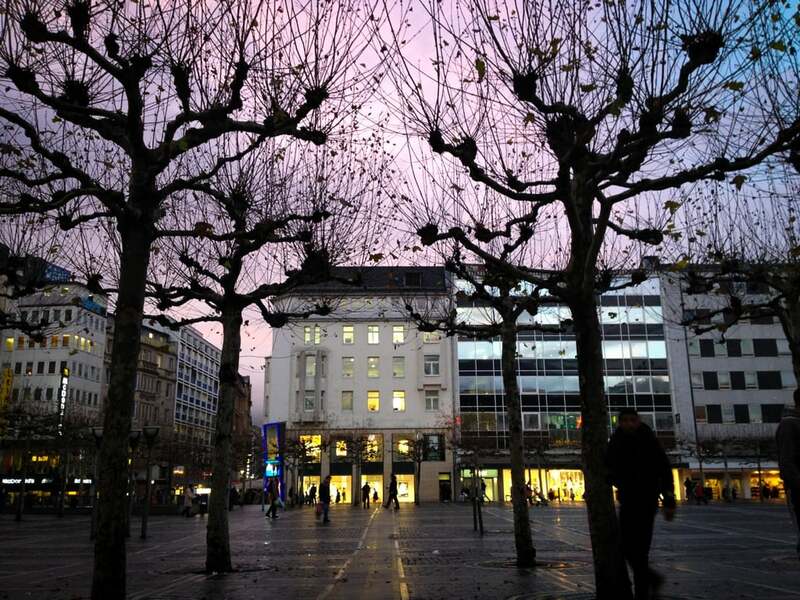 Bunca is situated in the heart of the city near Willy-Brandt-Platz of Frankfurt. Not an area I’m keen on venturing to during the week as it is overrun by suits and briefcases, I have no issue heading this way for a more informal vibe on weekends. Bunca is small but has adequate seating outside. 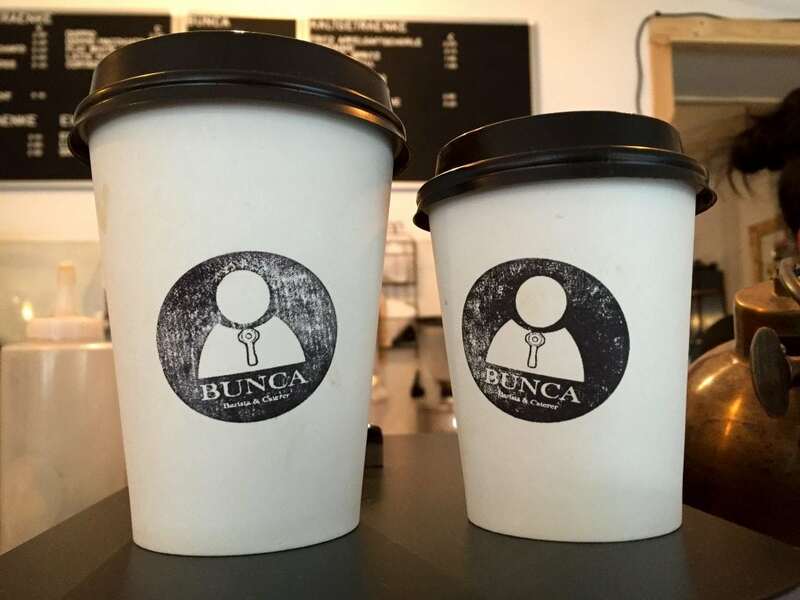 What really sets Bunca apart is their attention to detail and superb customer service. It is always so inviting to be welcomed to a place with a smile and having someone know your order. I admit I tend to frequent this place for milk coffee and have never had any of their other options. Based on how well they do a cortado and flat white, I am sure they do a wonderful filter, as well. 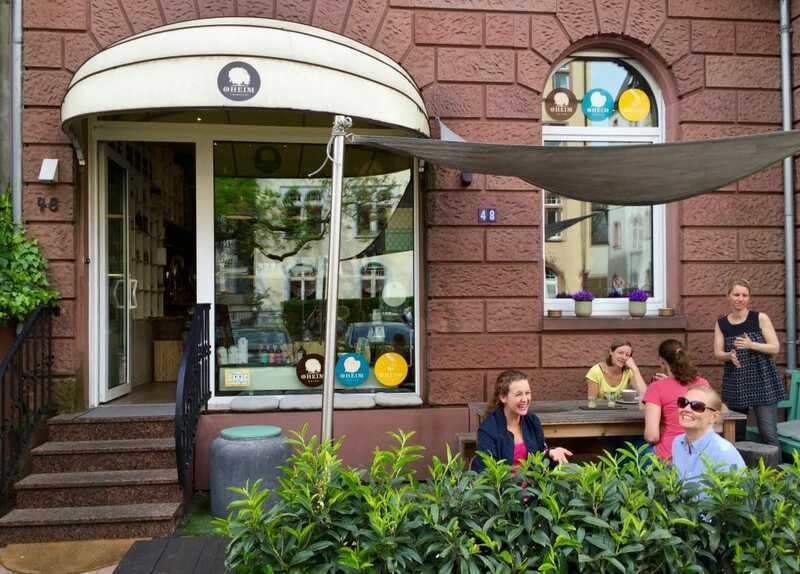 This is one of the most popular cafes in Frankfurt. You can find Bunca at Kirchnerstraße 4 in close proximity to WBP. They are closed on Sundays but are open from Monday-Friday from 0800-1700 and on Saturdays from 1130-1730. To find more information about Bunca, check out their website or Facebook page. Hoppenworth & Ploch is kind of the mother ship of craft coffee in Frankfurt. 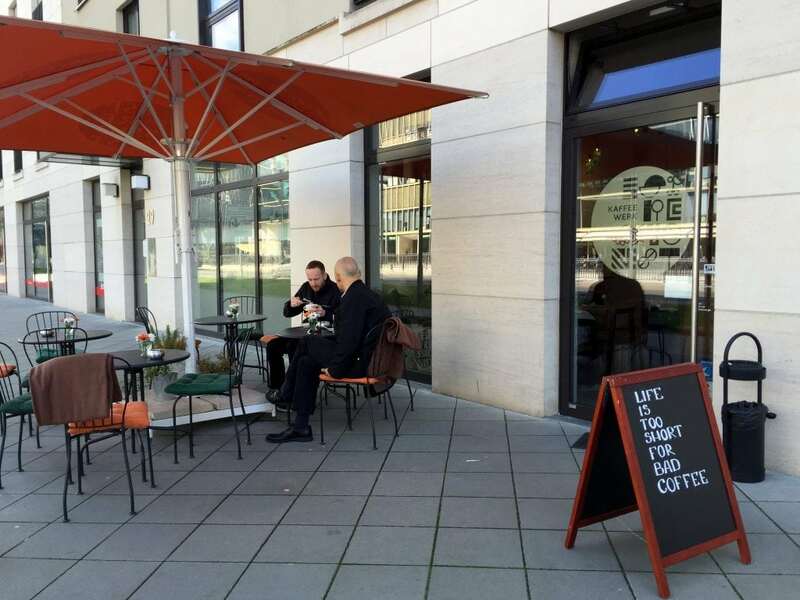 They have been around for over seven years and are still an integral part of the Frankfurt coffee community regardless of what has opened around them. 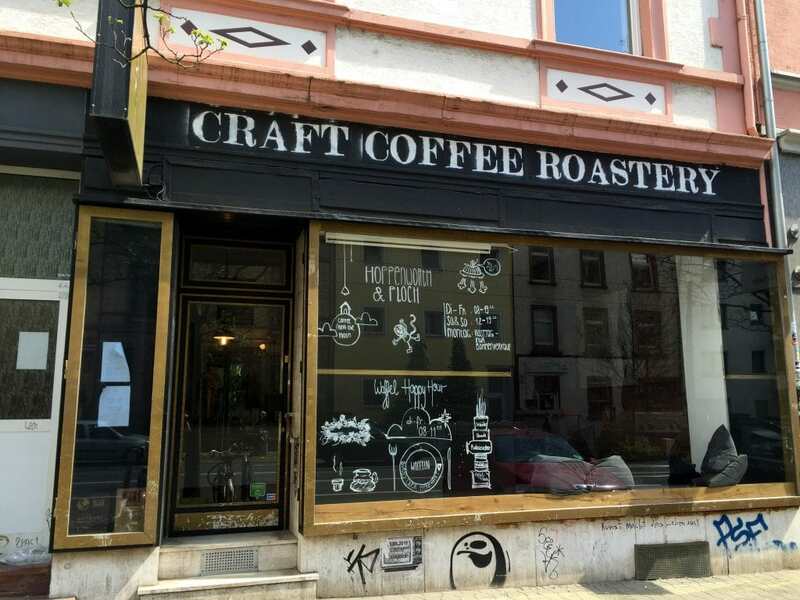 They even have their own roastery at their location close to Friedberger Platz. 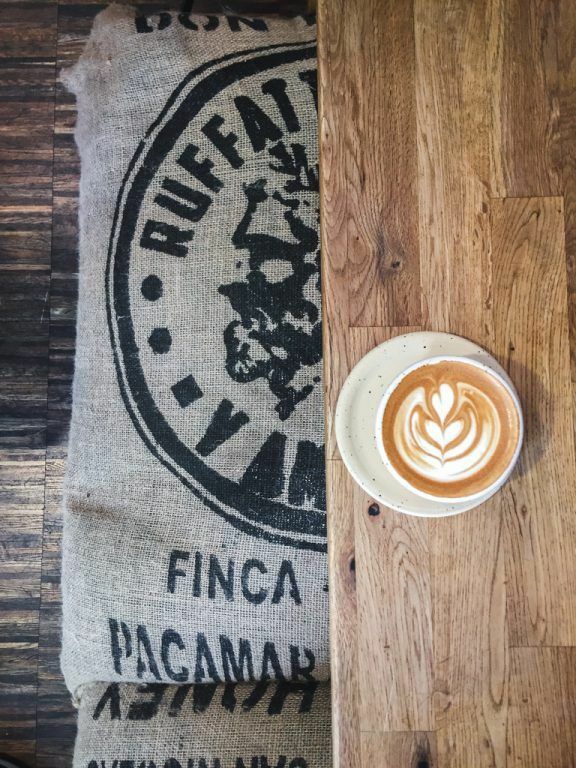 I have personally witnessed the improvement and development of their coffee over the years and it is hard to deny that they really know their skill and can serve up some banging products. They have a cafe located in close proximity to Goethe University, but I prefer the on across town at Friedberger Platz. The inside is minimalistic and has an extremely chill vibe. The staff knows their stuff and will happily answer any questions you have with great knowledge. Hoppenworth & Ploch is located at Friedberger Landstraße 86 in the Nordend-Ost part of Frankfurt. They accept Visa and Mastercard. This location is open Tuesday-Friday from 0800-1900 and weekends and holidays from 1200-1900. They are closed on Mondays. To find out more information, you can check out their website or Facebook page. 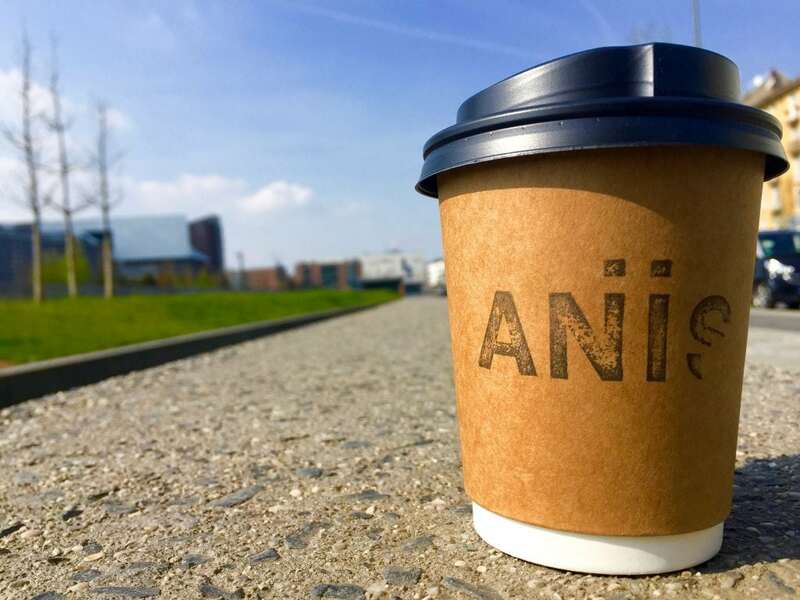 Aniis is a beautiful and artistic cafe with delicious specialty coffee on Hanauer Landstraße is Frankfurt’s Ostend. 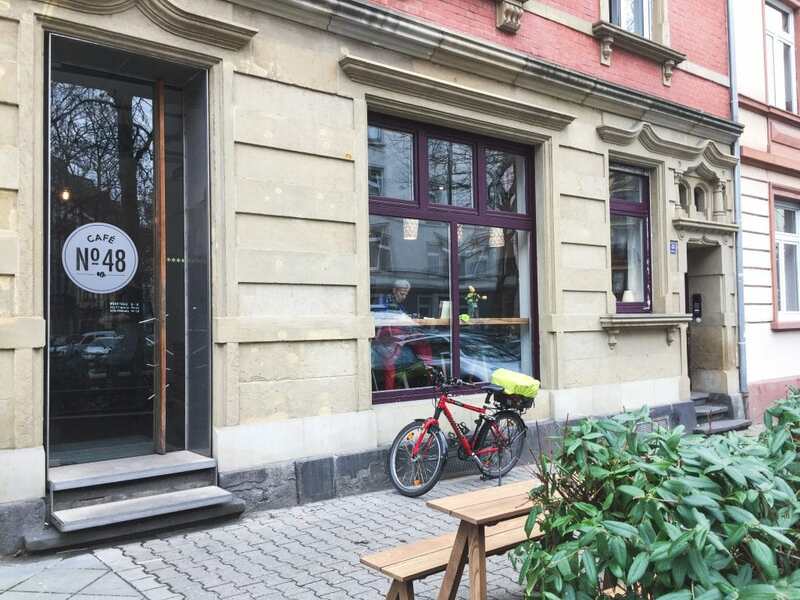 The small cafe, located a stone’s throw away from Ostbahnhof, has a nice outdoor seating area as well as adequate seating inside for customers. They are always pretty busy, particularly on weekends, as they cater to guests with impeccable coffee and seasonally-inspired, high-quality small eats. I must admit that I find the inside of this Frankfurt cafe to be one of the most beautiful I’ve ever seen in this part of Germany. You can find Aniis at Hanauer Landstraße 82 in Frankfurt’s Ostend. They are a cash only establishment and do have free wifi. They are open for business Tuesday-Friday from 0800-1800 and on weekends from 1000-1730, being closed on Mondays. To find out more information, feel free to visit their website or Facebook page. 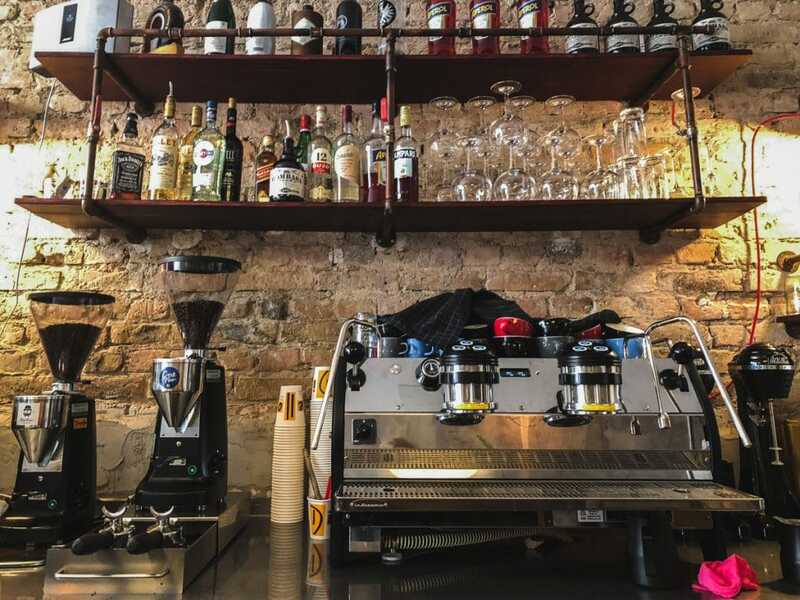 The Espresso Bar is a small, but timeless cafe in the city center. They are a cafe, bar, and aperitivo all rolled into one and catering to the best of Frankfurt. I prefer their coffee to-go as it is not a conducive place to work from, but the location and efficiency of the staff make this a great choice for coffee if you’re in this part of the city. You can find The Espresso Bar at Schäfergasse 42 in Frankfurt’s Innenstadt. They are open Monday-Friday 0830-2100 and on Saturdays from 1000 until 0000. For more information, feel free to check out their website or their Facebook page. 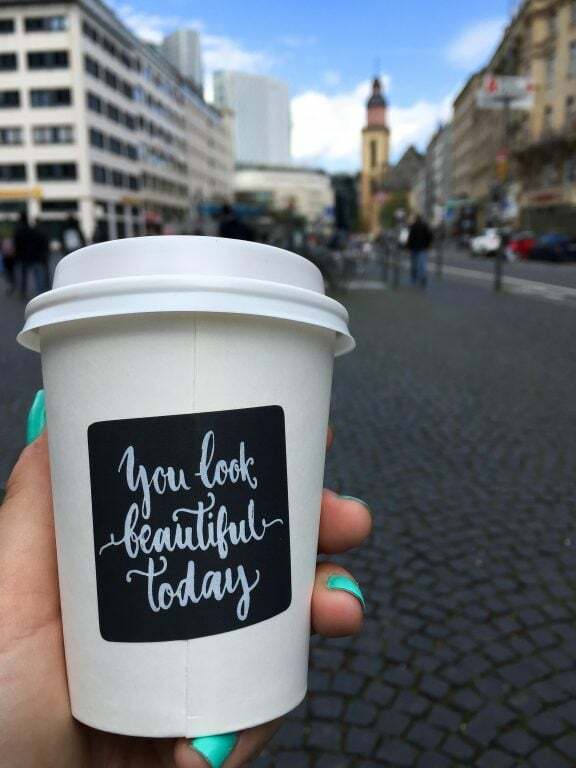 Do you have a favorite place for coffee in Frankfurt? If so, please share and spread the word! Tortenengel actually sources some of the best coffee in ffm in my opinion. They are totally a cake shop though (that just happens to have stellar coffee). They can’t offer much info about coffee, in general, but the taste makes up for it. I would definitely try to get them involved if possible. Their cakes are incredible, too. I will have to try Stern one of these days. 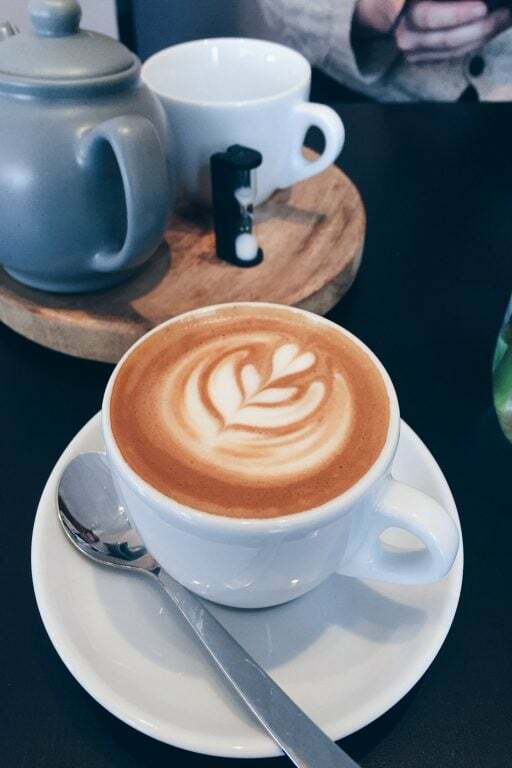 I have been to Wacker’s and it wasn’t my favorite, although I think the location on Leipziger is super charming anyways :) I am very into minimalistic design, specialty coffee, and a chill vibe where I find many places in ffm are Viennese styled and not my cup of tea. Different strokes for different folks :) See you next week love. Great post. I, too, am a lover of Oheim. Having moved back to the States a few weeks ago, I truly miss Frankfurt! If you are looking for a good craft beer, you should definitely check out Naiv…they have great food as well! thanks for your comment jess! too bad you dont live here anymore- i love meeting other coffee and craft beer minded people! and, naiv knows me all too well! while i love some coffee, i love craft beer more <3 hope you get back for a visit soon! Yes! Bookmarking this for the next time I’m in town: say, possibly May 2019. ☕️ ? You have to add Kaffeemacherei to this list!